Normally I would have prepared the minutes of the Presbytery meeting last night but with having watched the leaders’ debate I had to do this today. So most of the morning was taken up with dealing with bits and pieces from last night and in sending out the draft minutes to all members. After a spot of lunch I did some more presbytery work and then got ready to collect Tom (walked Mix and had a shower) and drove with him to Legerwood where we shared in a local church review, meeting members from the first two of Tom’s congregations, first Legerwood and then Gordon: St. Michael’s. It is always a humbling experience to visit congregations on these occasions. Folk have been worshipping in Legerwood for more than eight hundred and fifty years and the building serves a community of seven farms. The church is beautifully cared for and there is a service on the first Sunday of every month. Naturally as farm workers’ numbers have declined, so has the population of this very rural community but now some of the old steadings are being brought back to life and new people are moving in providing hope and new life for the future. It was good to be there and as I’ve learned that the church is open I will go back there to visit over the summer. We travelled in convoy to Gordon and another spectacularly beautiful and well-cared for Church. 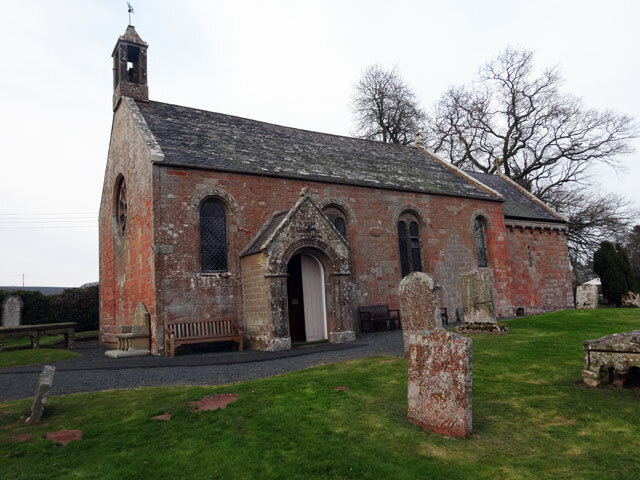 I was surprised on seeing the church and having read about all that it does to learn that the present congregation is, like many throughout Scotland a small one. What a tribute to them that they achieve so much. It was good to hear of new links with the local school providing, along with the work in the community, a source of hope for the future. It would be easy in such situations to find reasons to be discouraged but what an encouraging evening it was for me. I came home in time to catch some of the post leaders’ debate discussion – yes, there was another one tonight, this time on the BBC. I listened to this analysis and then, as Rachel had recorded it for me, I listened to the debate from Aberdeen. This time the debaters from Labour, Conservative, Liberal Democrat and Scottish Nationalist were joined by the Greens and UKIP and, with this bigger size, it was potentially much less manageable. However, I thought that it was significantly better moderated than the debate last night. Patrick Harvie from the Greens was a good addition although the less said about UKIP the better. Tonight I thought that Nicola Sturgeon came out clearly on top – and this in spite of the fact that the others were all seeking to knock her down and that the majority of the audience, because it was based on so many for each candidate rather than reflecting the percentage support in the country, was naturally opposed to her views. I thought that Willie Rennie was being treated as an irrelevance as his leader was in the debate last week, that Ruth Davidson was too strident and that whoever has been advising both Ed Milliband (last week) and Jim Murphy on presentational issues ought to be dismissed. This attempt to woo the camera, to refrain from answering questions, to hector others and then to preach sermons without providing facts, really doesn’t work. I would have expected Mr. Murphy to have launched detailed attacks on Ms. Sturgeon based on her record in government or on the record at Westminster of Scottish Nationalist MPs in the last parliament but none of that was forthcoming and it must have been an opportunity missed for him. I suspect that the public view when poll results come out later in the week will declare Nicola Sturgeon clearly the winner (not that such a poll really matters). I walked Mix and went to bed. It was by now really quite late!